Hardwood flooring may not fit to everyone’s budget. But this flooring will make your house look more elegant. Further, it has aesthetic value that improves your room decor to appear beautiful and inviting. However, it can be rather expensive. There are cheap and expensive laminate flooring that you may choose according to your budget. However, it has different durability. Though, two of them are easy to maintain. Rubber flooring may give you advantages. It is easy to maintain, has unique feature, and able to apply at any room decor. However, you need to be careful to not put something heat at the floor that will make this floor broken or burned. The good side of applying plywood flooring is you do it by yourself, even when you don’t have any experience at all. 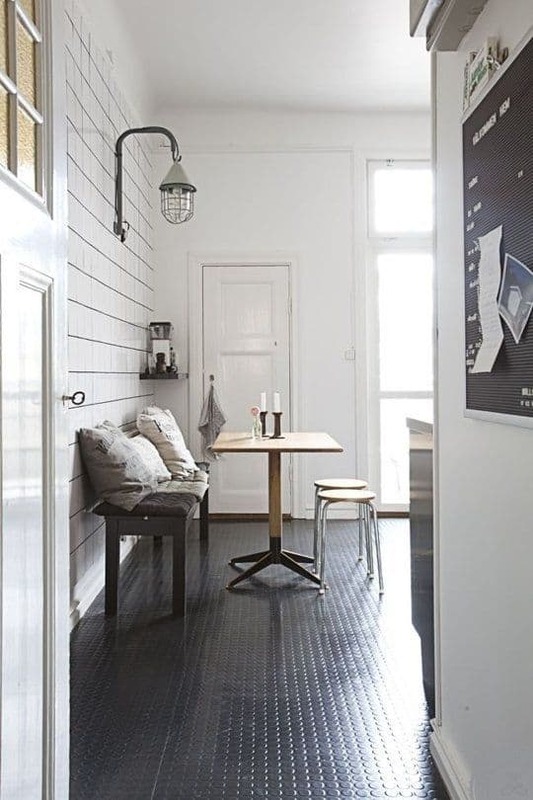 Moreover, this plywood farmhouse flooring is inexpensive and easy to maintain as well. Even if one piece of plywood is broken, you will easy to replace it with the new one. If you wish to have the most durable flooring for your house, this is the most recommended flooring. However, you need to spend much money because it will be very expensive. Other advantage, your house will get more aesthetic values from this flooring. Marble flooring has unique pattern that will match to your house design. But you need to consider the budget you have. Then, it will be better for you to ask professional to install it for your house. Then, you have to remember that marble may feel very cold when winter comes. If you are a classic theme lover, this flooring style may look interesting. Stone flooring looks traditional and more durable. So, you will have this floor in a very long time and timeless. Choose the stone based on your budget and apply this at your home. River rock flooring may look unique for your house. Usually, it used for bathroom, but you may apply for other rooms as well. Installing river rock for your house floor is easy, even for the one who hasn’t ever use it before.